A troubling college enrollment policy for California’s Latino students is the continuing expansion of impaction, that has been implemented in almost all of the California State University System’s (CSU) 23 campuses. Impaction in the CSU is the process of limiting enrollment for first time freshmen students and/or college transfers into one or several CSU campuses. Impaction is inconsistent with the mission of the CSU as described by the California Master Plan for Higher Education. According to this plan the CSU mission is to continue to accept all first time freshmen in the upper third of the state’s high school graduates and all upper division transfers, who earn a 2.0 GPA in at least 56 transferable semester units. However, according to the current CSU enrollment policy, it is noted: “with the exception of certain high demand majors, programs and campuses, nearly all students, who meet CSU admission requirements are admitted to their first choice campus or major.” California’s promise, to qualified students, for admission to a public university for a four year degree is fading away. At this time only five out of 23 CSU campuses are not impacted by either first time freshmen or college student transfer enrollments. CSU, Humbolt and CSU, Monterey Bay are impacted for first time freshmen enrollment but not college transfer enrollments. The California LULAC organization is reviewing this problem and requesting meetings with the CSU Chancellor and several CSU campus presidents. CSU Impaction has been expanding for almost two decades. The driving forces behind this process are a growing and young Latino population and California’s divestment in education. CSU impaction is expanding at a time when CSU leadership is promising steps to close the gap in educational equity among students of color and different socio-economic backgrounds. In addition, demographic studies indicate California’s Latino population is and will continue to be much younger than other groups. The growth in the state’s workforce will increasingly become Latino as well. Unless the state increases its investment in higher education and promotes greater equity for Latino college students, the growing under-educated Latino workforce will be heavily burdened with supporting entitlements to an ever growing retired population. Some of these entitlements include: Social Security, Medical, Medicare, and government pensions. The Campaign for College Opportunity has noted the following information on California’s Latino population. Currently, Latinos are 38% of California’s population. However, this group is also 51% of the school age (K thru 12) population. At the same time, the percentage of Latinos who complete their college degrees is only 16% compared to 38% for all of California’s population. An under-educated Latino workforce will be challenged with supporting entitlement programs for the retired while stuck in lower paying blue collar jobs. Many of the California State University campuses, particularly in Southern California, are Hispanic Serving Institutions (HSI). According to Title V of the 1965 US Higher Education Act, a Hispanic Serving Institution, a college or university, must have a Latino student full time enrollment of 25% or more. Among the larger CSU campuses, that are HSI in Southern California, are: CSU, Los Angeles, CSU Long Beach, CSU, Fullerton, and CSU, Northridge. Among the smaller CSU campuses in Southern California, that are HSI include: CSU, Dominguez Hills, CSU, San Bernardino, CSU San Marcos, and CSU Bakersfield. CSU, Fullerton as of 2013 had the largest student enrollment in the CSU system at 37,677 full time students. This campus also had the largest enrollment of Mexican American full time students at 10, 479. If other Latino students are included, CSU Fullerton’s total Latino full time student enrollment was: 13,488. CSU, Los Angeles was second in Mexican American student full time enrollment at 9,774. However, while CSU, Northridge had 9,374 Mexican American full time students enrolled in 2013, it also had a total of 5,159 other Latino full time students enrolled for a total of 14,533 in 2013. This is the largest Latino full time student enrollment in the system. Although increasing graduation rates may allow more students to enroll in their preferred campus, using impaction to increase graduation rates may be problematic. An academic department, that is declared impacted, may modify criteria for students to be admitted as a major in their academic program. Impacted academic departments have increased Grade Point Average (GPA) requirements and SAT and ACT test scores also. In addition, an impacted department can add prerequisite classes for students interested in majoring in the subject matter of their program. Despite the fact that the California Master Plan for Higher Education promises that the top third of the state’s high school graduates may enter a CSU campus of their choice, impaction has changed admission requirements for many prospective students. California policy makers are considering changing budget allocations to CSU campuses, which have traditionally been enrollment driven, to performance based criteria. If graduation rates are used as the main criteria for judging a school’s performance, then schools that have used impaction to drive away Latino and other students of color will be given more money for their campus. Whereas campuses that have sought out diversity will most likely be given less money. Equity criteria must be a part of the budgetary decisions of the state for the CSU as well as the UC system and community colleges. Divestment, a driving force for CSU impaction, in California’s higher education system has been occurring for decades. However, between 2007 to 2015, the fluctuations in state support can be clearly seen. The Governor’s Budget Summary for 2015 to 2016 shows that the overall state CSU higher education allocation for 2007-08 was 3,264.3 million dollars. By 2011-12 this allocation was down to 2,418.1 million dollars although in the previous year (2010-2011) the higher education allocation spiked up to 3,009.2 million dollars. State spending on higher education has been slowly moving upward since 2012-2013. The CSU budget for 2015-2016 has moved up to 3,153.6 million dollars which is still under the allocation for 2007. Of course the economy has been sighted as the reason for these fluctuations in higher education spending. While fluctuations in state higher education spending have occurred, the financing of the CSU system, like the UC system and Community Colleges, has continued to rely on student tuition and fees. In 2007-08 the total CSU revenues from student tuition and fees was: $1,046.6 million dollars. By 2011-12 CSU revenue from student tuition and fees was up to 1, 874.7 million dollars. Student tuition and fees have slowly decreased since the 2011-2012 levels to 1,669.9 million dollars in 2014-15 and is currently up to 1,707.1 million dollars in 2015-16. State financial aid, like tuition, also increased from 2007 to 2015. In 2007-08 state financial aid dollars were at 129.7 million. In 2014-15, state financial aid increased to 636.4 million dollars and dropped down to 506.70 million dollars in 2015-16. Also the amount of other funds to the CSU has increased since 2007-08. Other funds include state lottery money, and federal funds. The CSU budget has increased since 2007. In 2007-08 the CSU budget was 4,780.7 million dollars. In 2015-16 the CSU budget rose to be 6,009.2 million dollars. This increase has occurred by increasing student tuition and fees, state financial aid and other funds such as lottery money, and federal funds. Meanwhile the state has continued to divest in higher education and the CSU specifically. While the CSU Enrollment and Management Policy allows for campuses and academic departments to change their admission standards when challenged by student admissions, it also specifies alternatives. The alternatives to impaction may be one way to slow down this process while also allowing the equity gap to close further. Innovation in education may offer some solutions. However, ultimately California’s state policy makers will have to decide whether to invest in higher education while demanding more efficiency and positive outcomes with increased state spending. With higher education access and achievement impacting the economic and political status of Latinos in throughout the state, the California LULAC has opted for an aggressive position on CSU impaction. Local LULAC chapters have been meeting with CSU campus presidents on the impaction issue. At the same time, the California LULAC has requested a meeting with CSU Chancellor White. Also, the California LULAC Latino Educational Attainment Committee is discussing the idea of requesting the state LULAC Executive Council to meet with state legislators to discuss CSU impaction and admission policies. California State President Dave Rodriguez said” we will explore all political and legal options to ensure access for students”. On November 08, 2014, the California State LULAC Board held its winter meeting in Santa Fe Springs, California, and received a presentation by the Mexican American Legal and Defense Fund (MALDEF) on single district elections and the impact on Latinos throughout California. Subsequently, the State Board voted unanimously to continue strategic conversations with MALDEF in order to reach a Memorandum of Understanding between California State LULAC and MALDEF that would identify and prioritize cities and other local jurisdictions that are currently single district elections jurisdictions, that as such, are a detriment to minority and Latino communities, throughout California, in the area of fair and equitable representation by local elected officials. On Tuesday, February 25, 2014, the local and national news reported the uncovering of a police scandal that apparently targeted Latinos – especially the most vulnerable in the community, the poor, indigenous and undocumented farmworker. About one-third of the King City Police Department were arrested, including the Police Chief and recently retired Police Chief. Sadly, for a few hours, the King City Police Department had a sign up reading “Closed”. The following week, on Thursday, March 6, a press conference was held in front of City Hall in King City. Local, state and national LULAC representatives, with organizational support by national and state organizations such as MALDEF, NALEO, Southwest Voter Registration Education Project and the American G.I. Forum, and others, to support the local residents of King City and to provide advocacy support to create positive change in the community. Expediting a planned town hall meeting for King City residents about the arrests and their concerns over police. Creating a local police oversight committee. Possible state legislation to address 30-day impound practices and police-tow company conflicts of interest. California Attorney General Kamala Harris to support Monterey County’s investigation. Additionally, Assembly Member Alejo called for district elections to help residents achieve better representation in a city that’s close to 90 percent Latino. 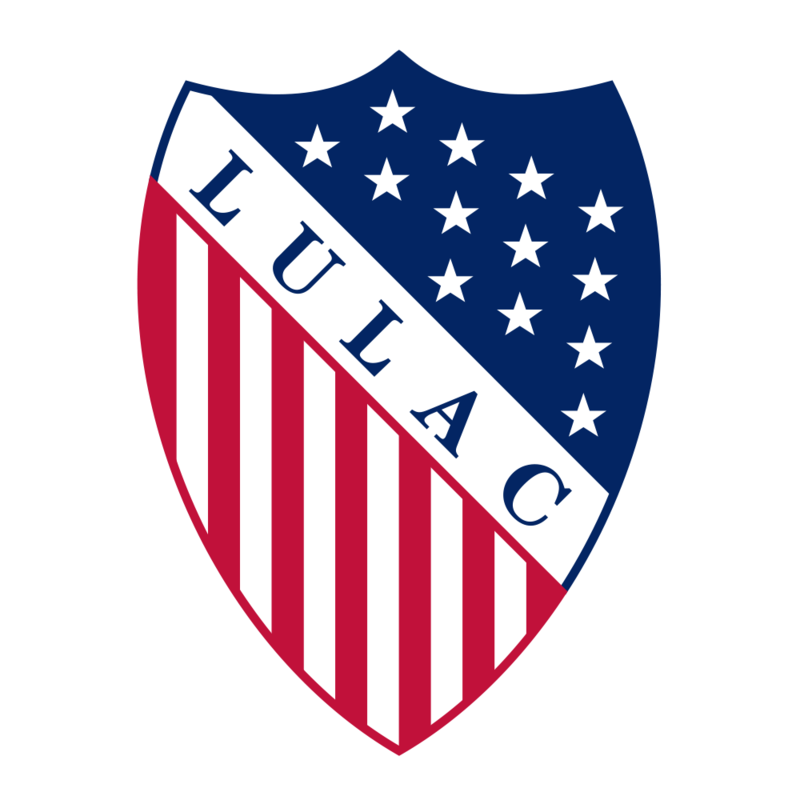 Immediately, LULAC went into action by holding public and private meetings with victims of the scandal, that according to local residents, “had been going on for decades.” Close to 100 residents were interviewed from which a plethora of issues surfaced due to lack of services and not enough political representation – both through advocacy and through elected representation. To date, the King City council now has 1 Latino Council Member; in 2014, during the height of the police scandal, there were 2 Latino Council Members. California State LULAC, California LULAC District 12 (central coast counties of Monterey, San Benito and Santa Cruz) will continue to support the newly formed King City LULAC Council No. 3257 and Council President Ana Vargas. With the continued leadership of California Assembly Member Luis Alejo (now, President of the Latino Legislative Caucus in Sacramento) the mission towards district elections by California LULAC is certainly on its way towards reversing the systemic deficiencies found in numerous communities, such as King City, throughout the state. In light of the fact that the Latino community throughout California is the backbone of our state’s workforce – especially in the vast agricultural lands that generate billions of dollars, as is King City and Monterey County, the urgency to correct ineffective, single district elections, is a top priority to the newly elected State Board of California State LULAC. “We have set a course to ensure that the Latino communities have representation of their choosing,” stated Dave Rodriguez, State Director of California State LULAC. 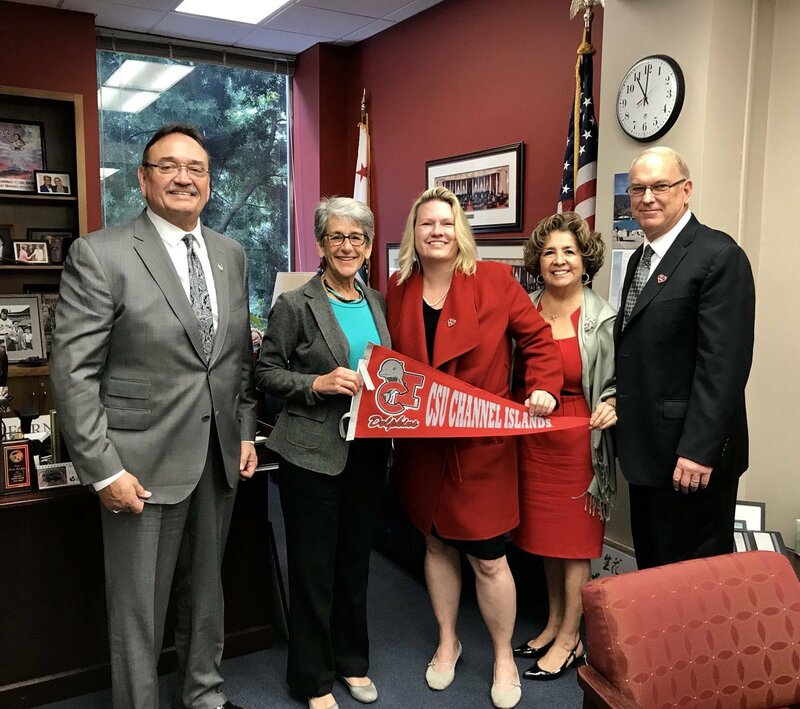 California State LULAC will keep you informed of this single district initiative, as well as other State LULAC initiatives unfold in California – for the good of the League and the community we serve. Camarillo CA – The California League of United Latin American Citizens will partner with the Mexican American Legal Defense and Education Fund (MALDEF) and private attorneys in a significant expansion of cases brought forth under the California Voting Rights Act (CVRA) next year, according to California LULAC State President Dave Rodriguez. Thirty-one cities and thirteen school districts from Redwood City in the north, to Cathedral City in the south have been reviewed and placed on a list for action by a special LULAC task force and the organization’s legal partners. “As we see voting rights challenged in many states, California hopes to utilize current state law to bolster Latino representation” Rodriguez said. LULAC’s task force leader, Arturo Montez, says the changes will result in the election of dozens of new elected officials as Latino communities change from an at large system to district voting. “this strengthens communities by enhancing neighborhood representation”, Montez said. The law, enacted in 2001, prohibits the use of an at-large election system in a political subdivision if it impairs the ability of a protected class to elect candidates of its choice or otherwise influence the outcome of an election. CVRA also states that a voter who is a member of a protected class may bring an action in superior court to enforce the provisions of the CVRA, and, if the voter prevails in the case, he or she may be awarded reasonable litigation costs and attorney’s fees. CVRA requires a court to implement remedies, including the imposition of district-based elections, that are tailored to remedy a violation of the act. “We negotiate first then litigate if we must” Rodriguez said of LULAC’sapproach to cases. California LULAC’s action follows a long standing frustration with at-large voting in cities with large Latino populations which lack representation on city councils, school boards, and other political subdivision boards. In many cities, elected leaders live in one section of the city resulting in a lack of representation for neighborhoods and disenfranchisement of Latino residents. CVRA is written in a manner that provides those who sue with almost certain favorable outcomes. However, some communities are steadfast in their opposition to change. The city of Palmdale is one such case. City officials spent an estimated $7 million in taxpayer funds only to lose the case on appeal. The LULAC Council in Palmdale was instrumental in the success of this case and is now seeking candidates to run for the newly created district seats. In northern California, King City has grudgingly discussed converting to districts but only with pressure from a community mobilization led by LULAC members, Assemblyman Luis Alejo, Ana Vargas, and California LULAC State Deputy Director Carlos Ramos. California’s 1960 Higher Education Master Plan was visionary. The plan offered a tuition free college education through a three tiered structure of community colleges, California State Universities (CSU) and the University of California (UC) system. Universal access was possible with a high school diploma or equivalent through this three tier structure of universities. In the 1960s, children, born after World War II (baby boomers), were college age. This group is a bulge in the state’s population pyramid. California’s economy experienced changes, from agriculture and oil extraction as an economic engine, to an information age of high tech industries and professional workers in: medicine, law, accounting, engineering, agriculture and education. This state is uniquely known for its multi-sector knowledge based economy – from Hollywood to the Silicon Valley. College educated workers fuel the economy; industries locate here for this reason. After the 1950s, decades of economic and social changes transformed California’s quality of life and demography. Today, CSUs award 46% of Bachelors and 32% of Masters degrees in the state. CSUs, now an economic engine, support the state’s economy. CSUs’ 23 campuses employ tens of thousands of workers; as wage earners and consumers they provide tax revenues. ICF International reported that: every state dollar invested in the CSU generated $5.43 more. When calculating CSU graduates’ earnings, this investment rises to $23 for every invested state dollar. Other CSU achievements are a better quality of life and the political development of new arrivals. California has a large and growing Latino population. Also, Latinos are young in a country facing a population decline. Aging baby boomers are a cause of this decline. A flow of immigrants has prevented a population decline in the US. 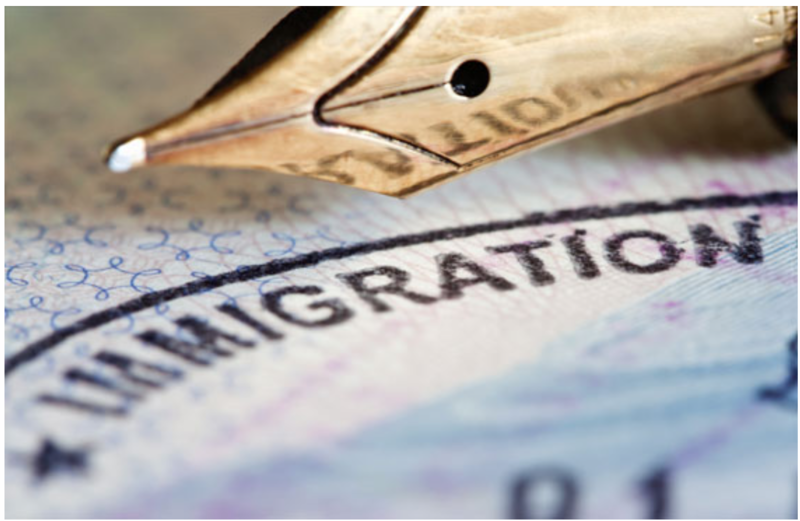 Immigrants contribute to the economy while supporting Social Security and other entitlements for the state’s retired. Whether it is first or second generation immigrants, a college education provides socialization for effective participation in state political, economic and social institutions. Meanwhile, the failure of education for these immigrants leads to marginalization from the same institutions. Marginalization of immigrants and migrants is associated with neighborhood crime and gang activity. Another consequence of this marginalization is informal market growth. The informal market includes drugs, and prostitution among other activities. Higher education investment has gains while divestment has economic and social costs. California’s 1960 Master Plan for Higher Education, a great idea, was not sustainable! Lack of sustainability has hurt the state’s college eligible students. Currently, California’s long term challenge, is how can its public universities be sustainable and affordable for all residents? A consequence of California’s Higher Education Master Plan’s lack of sustainability, is CSU impaction and the lack of a clear pathway to CSU and UC campuses. CSU impaction occurs when academic departments and/or a CSU campus decides that the demand for a particular major is greater than the resources provided to the academic department or CSU campus. Impaction alternatives are to be attempted before impaction is declared. However, in the CSU system, almost all 23 campuses have impacted undergraduate programs. Six campuses’ academic programs are all impacted. In Southern California three of the six CSU campuses, having all academic programs impacted, include: CSU Long Beach, CSU Fullerton and San Diego State University. Fresno State and Cal. Poly, San Luis Obispo in Central California and San Jose State in Northern California are the other three impacted campuses. Impacted campuses may mean that Latino students must go to a private university if they cannot enter a their preferred program in a state university or UC campus. This puts a greater financial burden on Latino low income and first generation college students. Another option is a California Community College. However, some community colleges cannot accommodate the current flood of students and provide classes that they need for their degrees. The possibility of transferring from a community college to a CSU or UC campus has also become more difficult as a more limited number of available seats and rising tuition at the UC and CSU increase. CSU impaction alternatives are: satellite campuses, year round classes and internet classes. Satellite campuses and internet classes address the limited CSU space issues. Students also need greater access to classes required for their degrees and graduation requirements. Summer school, and internet classes, help in reducing time required to complete a degree by offering more classes available during an academic year. However, critics of these ideas have warned about hurting academic quality. CSU administrators claim that impaction is a budget problem. But, impaction is more complicated than just money. The CSU has one of the lowest graduation rates in the US. Therefore, the CSU Chancellor’s Office has developed a plan to address this problem – “The CSU Graduation Initiative, 2025.” Transition and bridge programs are being developed to help low income and first generation college students to attend a CSU campus. Transition programs allow high school students to take college classes concurrently. Community college students, in a transition program, may take upper division classes before transferring to a four year university, in order to increase their chances to graduate in two to three years or less. The graduation initiative’s goal is to improve graduation rates and thereby increase seats available to incoming high school graduates and college transfers. The CSU’s economic impact is described as two types according to the ICF International Report: “Working for California: The Impact of CSU System.” The first impact is CSU related expenditures and the second is created by CSU alumni earnings attributed to their degrees. The first impact is CSU related expenditures for wages and salaries; capital equipment, and supplies. Also there is student spending on meals, textbooks, and housing as well as an array of items related to the mission of the college. In the 2008-09 academic year this totaled $7.96 billion. But, the full economic impact of this $7.96 billion of direct CSU-related expenditures is estimated at $17 billion. CSU-related expenditures do not describe the entire CSU mission which is to provide an affordable and accessible quality education to hundreds of thousands of Californians. When alumni obtain their degrees, the state’s investment rises to $23 for every $1 spent. CSU degrees support workforce needs of many information based industries. These industries include: agriculture, business and professional services, life science and biomedicine, tourism, engineering and information sciences, media, culture and design. In addition CSUs educate workers in the public and non-profit sector. The public sector workforce includes: educators, social workers, peace officers, and public administrators. CSUs’ greatest contribution to the state’s workforce is graduating more than half the state’s students in the fields of agriculture (62%), business (54%) and hospitality/tourism (64%). Also, the CSU graduates almost half the students in the state in engineering (45%) and careers in Media, Culture and Design (44%). Regionally, business firms such as: information technology and electronics are found in specific areas of California. The Bay area’s Silicon Valley is famous as the birthplace of dozens of the world’s premier technology firms and the hub of technology entrepreneurship. Other fields like aerospace engineering in Southern California and telecommunications in San Diego represent high-tech industrial hubs. About 750,000 programmers, engineers, and technicians work in these industries. Nearly every region in the state, except Los Angeles, has specialties in the agriculture, food and beverages sector. More than 200,000 of California’s agricultural employees provide a significant portion of the nation’s produce and represent the center of American winemaking. Also, life sciences is becoming increasingly significant. California has been a leader in research in pharmaceuticals, healthcare and biotechnology. More than 100,000 people are employed in pure life sciences production and research, with an additional 1 million working in healthcare. Los Angeles is known as one of the world’s largest entertainment centers as well as a nexus for film, fashion, publishing, television and music. Thousands of artists, writers, and musicians are attracted to this area. Los Angeles as well as many other areas of California attracts tourists throughout the world to the state’s beaches, parks, restaurants and hotels. CSUs also provide skilled workers in the hotel and tourism industry also. Firms specializing in business and professional services are found statewide. But, they are concentrated in Los Angeles, San Diego and the Bay area. These services are important to marketing, advising and improving the state’s businesses through management consulting. Public sector jobs cannot be overlooked. This area includes both jobs in the government and non-profit organizations. These workers include: educators, law enforcement personnel, social workers and local, county, state and federal administrators as well as administrators of non-profit groups. 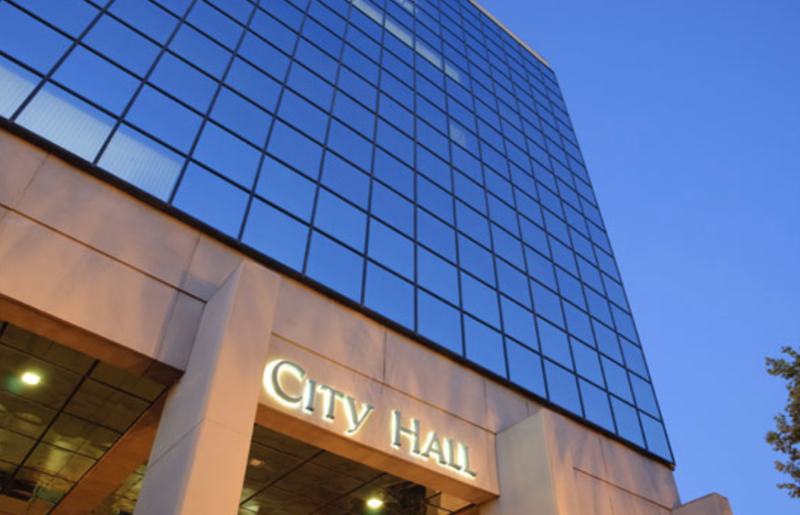 California’s governance relies on trained policy professionals. As the most populous state in the country and one of the world’s 8th largest economies, California relies on competent policymakers. A majority of these people were educated in the CSU. The UC generates about 46.3 billion in economic activity in California and contributes 32.8 billion to the gross state product. Every dollar, that California taxpayers invest in the UC and its students, results in $9.80 in the gross state product and $13.80 in economic output. UC operations and spending by faculty, staff, students and retirees support one out of every 46 jobs in California. By itself the UC employs over 190,000 faculty, researchers, staff and students at 10 campus locations, five health centers, a Department of Energy Laboratory and other facilities throughout the state. The UC also attracts significant spending of out-of-state money into California. This is estimated to be about $8.5 billion in 2009-10. Of course this money magnifies the impact of the UC in California. Five UC health centers account for a relatively high proportion of the UC’s economic impact in the state. The health centers are about 28% of the UC’s total employment and 38% of its contribution to the state economy. Every dollar cut from the state’s support of the UC would result in a direct loss of about $2.10 in the state’s economic output, $1.30 in employee compensation, and $1.60 in the gross state product. In addition, there are potential or negative secondary impacts associated with a decline in the scale and quality of the UC’s academic and research programs. As noted earlier, California’s economy requires highly skilled and educated workers. Reports, from the Public Policy Institute of California (PPIC), note that economic projections suggest that the state will continue to need greater numbers of highly educated workers. In 2030, if current trends continue, 38% of the state’s jobs will demand at least a bachelor’s degree. However, population and education trends suggest that only 33% of working-age adults in California will have bachelor’s degrees by 2030. The shortfall would be 1.1 million college graduates. California has a demand for skilled labor that it must act on now. Without an improvement in educational access and outcomes, California’s economy will be less productive, incomes and tax revenue will be lower. Meanwhile more Californians will depend on the social safety net. Statewide goals for higher education must be set to close this gap in the need for skilled labor. CSU impact reports acknowledge that many elected state and local representatives are products of their university system. The quality of the state’s political leadership not only affects political institutions but social and economic institutions as well. California faces serious challenges with a changing demography, environmental issues, and keeping pace with a competitive world economy. Quality leadership is critical. 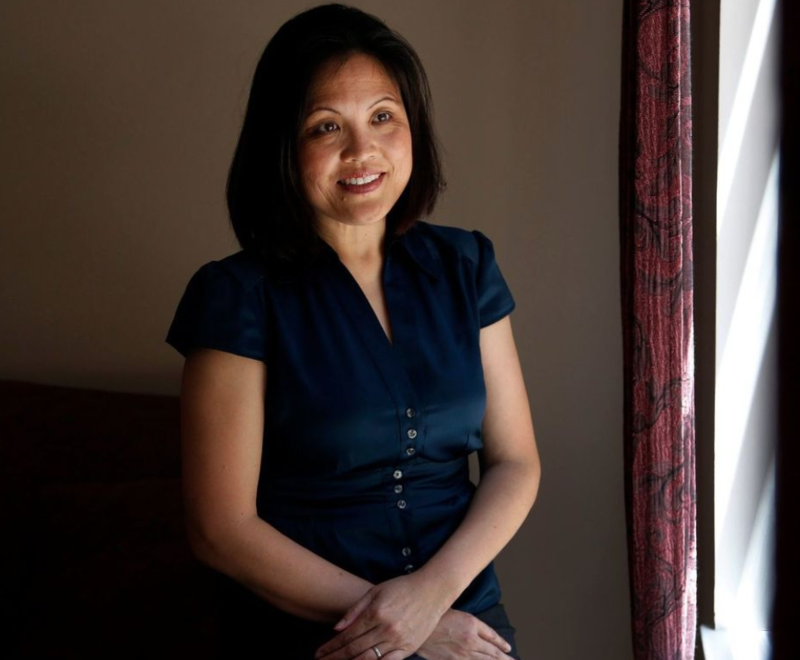 California gets its share of immigrants whether from Asia or Latin America. Many of these immigrants or their children are the first generation to attend a college or university. The CSU has more first generation college students than the UC system. A greater percentage of CSU campuses are Hispanic Serving Institutions (HSIs) than the UC campuses. 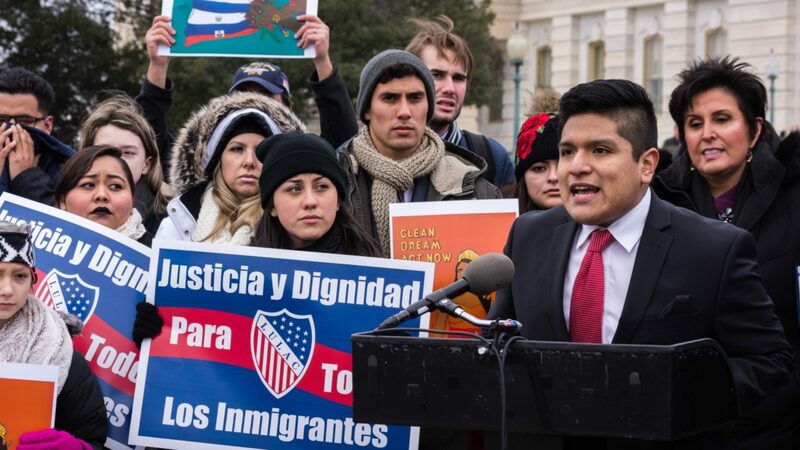 Organizations such as LULAC are aware of the critical role higher education plays in the incorporation of the state’s large Latino and Asian populations into the political and social economic institutions of the state. A report from the Tomas Rivera Policy Institute at the University of Southern California notes: “with the largest population of Latinos and Latinas in the nation – from undocumented to descendants of the first Mexican settlers – California is fast becoming a Latinized state.” The Latino population in California has typically been marginalized in educational institutions as noted by low educational attainment rates; and marginalized from political institutions as observed by low voter turnout. This exclusion continues into economic institutions as well, as demonstrated by low Latino family incomes. This is not a healthy scenario for California’s political and economic institutions. A college education, as emphasized by the CSU and UC impact reports, changes the trajectory of one’s career. Higher incomes, more taxes paid, greater consumption and economic output occur, versus participation in the informal economic sector. As discussed earlier, California’s 1960 Master Plan for Higher Education received the attention of educators throughout the world. The three tier university and college systems support an economy that has placed California eighth in the world in economic productivity. Yet in most cases the twenty-three state universities and eight of the ten University of California campuses are without large endowments, making them seriously dependent on state and federal money for their budgets. With the more recent state divestment in higher education, California public universities have become more dependent on tuition increases to balance their budgets. California’s economy has traditionally been boom or bust. State revenue has had surpluses in some years and deficits in others. This economic experience has forced the CSU and UC Systems to raise tuition on their students yearly and sometimes twice a year. For students in the CSU or UC systems the challenge to graduate in four years has become all the more difficult. With rising tuition, some students have to work which means they have to take fewer classes during a semester. In addition, CSU system efforts to improve graduation rates suffer set backs as a result of tuition hikes when students cannot cover their tuition with financial aid. If a student takes fewer classes and works to cover school expenses the likelihood of graduating in four years becomes impossible. Another dilemma for state policy-makers is California’s higher education budget comes from the same general fund that pays for prisons and medical care for a growing senior population. New funding sources for higher education are needed. At this time California is the only state that does not have an oil extraction tax. Also, the growing number of mobile devices such as cell phones is another possible source of funds. Whatever the new higher education funding source, reinvestment in this area is necessary for economic growth and innovation. One might ask, how can California stabilize its higher education budget? Governor Brown has proposed rainy day funds for critical state services but he has not described specifics for higher education. Coincidently, there have been legislative proposals for a higher education trust fund in California as far back as 1993. After the “Great Recession of 2007” higher education financing changed throughout the US. Most states paid at least half the operating budgets of public higher education. After the Great Recession, this amount dropped down to about one third of the operating costs. By the end of the Great Recession, the federal government was paying about a third of public university operating costs through dramatic increases in Pell Grants for tuition. Meanwhile, states were increasing tuition to cover the costs of their divestment in higher education. States, including California, are slowly increasing support for higher education. But state higher education budgets in no way are approaching the support of pre 2007 levels. California is 48th in the country in the percent of college age youth attending a four year university. In addition, the state has fallen seriously behind in granting four year college degrees to meet demands of its economy. Goals need to be established to align institutions of higher education with state workforce needs. To achieve these goals a new master plan for higher education is critical. This plan needs to be sustainable which means policy-makers must rethink strategies to finance public higher education in this state. Several suggestions have already been made in this article such as: creating a higher education trust fund, accelerating the development of CSU and UC campus endowments, and building more partnerships with private and public corporations thereby expanding the resources of public universities. Ultimately, another source of funding must be sought for higher education as an alternative to the current general fund source. January 26, 2017- California LULAC strongly opposes President Donald Trump’s signing of two Executive Orders Wednesday. They are named “Border Security and Immigration Enforcement Improvements” and “Enhancing Public Safety in the Interior of the United States”. These Executive Orders authorize plans to proceed with the construction of a wall along the 1,989-mile border between the U.S. and Mexico, which is currently the most frequently cross border in the world. Also, these actions remove federal funding from cities that provide sanctuary for undocumented immigrants. President Trump’s orders are in violation of the values upheld by the majority of people in California and the nation. California LULAC believes these Executive Orders are ill-conceived and strain relations with Mexico, one of the United States’ most important neighbors. Also, they create barriers in the path towards more effective bi-national solutions and deny the reality of our closely shared history and prospects for the future. California LULAC believes the actions of the Trump administration are clear evidence of a willingness to forget our democratic principles as well as the facts supported by unbiased studies which show that immigrants are far less likely to commit crimes than native born Americans, as well as contribute over $1.6 trillion to our economy. “Unfortunately, xenophobia feeds the emotions of those who are seeking to blame others for their own frustration and failures while exploiting the issue for their own gain,” said Cruz. “We as California LULAC will continue to advocate for the rights of immigrants, defend sanctuary cities, and embrace all Californians against an administration intent on spreading fear in our communities,” she concluded. The nations largest Latino volunteer advocacy organization has launched an effort to include younger Californians in public policy issues. The organization, based in Washington DC with chapters throughout the California, is rolling out a program designed to encourage young professionals and college graduates to step up as community volunteers. 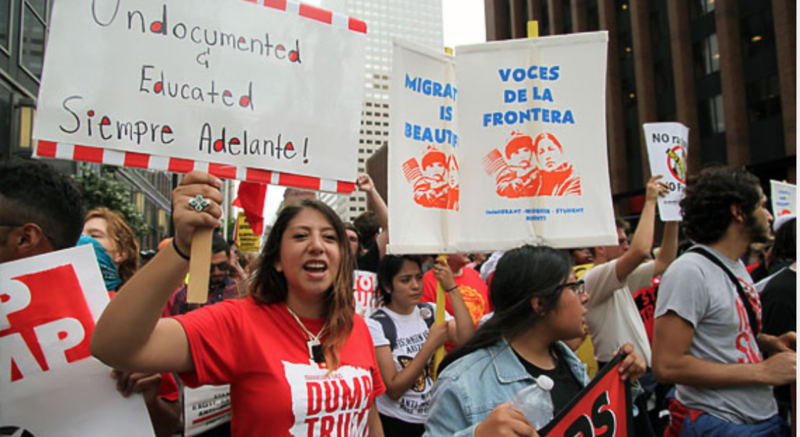 LULACMillennials will focus efforts to encourage involvement throughout California. LULAC’s, State Deputy for young adults, Jose Barerra said “In these challenging times for our community it is important that young professionals become involved in helping communities through advocacy”. California Deputy for Youth Ana De Castro said “we have to begin a pathway for youth and young adults to become involved in advocating for their communities. The Latino community is really concerned about the future and we need the perspective of younger generations“. As of this writing, over half of all K-12 children in California are Latino. In California we strive for our children to move on to higher education. Education can be the silver bullet for economic mobility, civic engagement, and hope for the future generations. CSU impaction hurts those who need the most help. Students from lower income families are hamstrung by impacted campuses. These students are forced to take out more student loan debt to account for the extra years needed to graduate from college. A majority of Latino college students are the first generation to go to college in their family. In fact, “62% of all bachelor’s degrees granted to California’s Hispanic students are conferred by the CSU.” With more Latino students going to college than ever before, this has become a Latino issue. They do not have the same resources and capital as other students in terms of navigating the college application and completion process. Upon entering the CSU, students find themselves in institutions that are heavily impacted at the academic level, the program level and sometimes both. This adversely affects California’s students, and its Latino students in particular. There are currently six CSU campuses that are considered impacted at all academic levels and all program levels, and three of them are considered Hispanic Serving Institutions (HSIs). 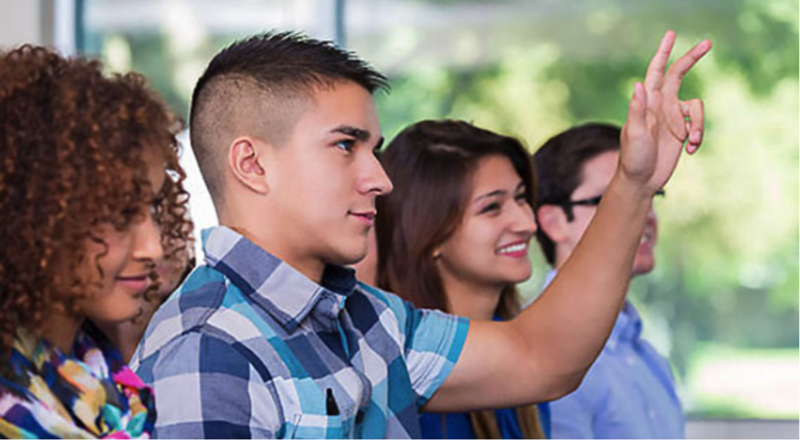 An HSI is any college campus with a Latino enrollment greater than 25%. Currently throughout the state of California, there are 23 CSU campuses, 16 of which are HSIs. Of those 16, 12 are considered impacted at some level. Only six campuses that are considered impacted at some level are not HSIs. The impaction issue is deeply concerning for Latino students such that 75% of HSI’s are impacted whereas 58% of non HSI’s are impacted. Latino students are more likely than any other ethnic group to be the first generation in their family to attend college, and impaction is not only making it more difficult for these students to attend college in the first place but also to finish once they get there. According to the CSU website, “More than one-third of the CSU’s entering freshmen are among the first generation of their families to attend college.” Latino’s have the highest non-completion rate of all ethnic groups attending college. Latino students often cite financial concerns for not attending or completing college. “In 2014, 35% of Hispanics ages 18 to 24 were enrolled in a two- or four-year college, up from 22% in 1993 – a 13-percentage-point increase.” With the strides being made for more Latino students to attend a two or four year college this comes at a cause for concern. These students are the most greatly affected by impaction, because they are the ones who have taken the greatest strides to improve their education. As of 2017, the CSU’s annual support budget is at 5.77 billion. Half of the CSU’s revenue is dependent on the state general fund that is provided by the State Legislature and Governor. The support budget request augmentation represents the CSU’s actual fiscal needs as the request calls for an increase of $ 343.7 million in state funding. Through these funding efforts, the university system will be able to move forward with their dedication in supporting students with a quality education. If we intend to break ground on the equity gap that continues to remain, sustainable funding is vital to the future of the students attending CSUs. California itself is making great strides towards innovation, the success of the CSU system is essential in that regard. The CSU Chancellor Timothy White has stated that the CSU system strives to keep its standards high and remove barriers to achievement. Noting the pattern of impaction however, that is an underlining barrier that will disproportionately affect low income students and students of color. The state needs to fully fund the CSU’s proposed 2015-2016 operating budget totaling a $269 million increase, and in turn the university will be funded for a 3% net enrollment growth. Increased funding is imperative for the educational attainment and upward mobility of the future generations that is vital in the progression of our economy. To cover the loss of funding at the state level, the CSU has needed to increase tuition. With the 5% increased tuition hike and the level of impaction across the CSU’s the students are burdened to take out more loans. It was found that despite the amount of financial aid attainable to CSU students, “student loan debt continues to be concentrated among the lowest-income college grads.” The average amount of student loan debt for the lower income bracket was greater than $16,000 and over half (57%) of all Hispanic/Latino/a students had graduated with student debt. It has come at a greater cost for students to obtain a Bachelor’s degree in the CSU system. These troubling factors should be taken into account as it is integral to increase state funding to support these students. With the increased state funding, it would improve “tenure-track faculty hiring, academic advisor ratios, eAdvising, College readiness efforts, and use of data to ensure resources are dedicated to most important factors” resulting in student success. Given the lack of funding on the state level the CSU has had no other course of action other than including an increased tuition hike and in turn students are burdened with an increased cost towards their education. With this on the line, the university will have an additional 18.8 million in revenue through the tuition hike and will be admitting an additional 4,520 students. One of the responses to impaction has been the Graduation initiative 2025. The CSU budget allocation for the 2017-2018 is heavily reliant on bringing forth the ambitious goals of graduation initiative 2025. Although the CSU has received additional funding from state, it is not enough to fund all fully eligible applicants. The demand is exceeding the resources necessary to provide for our students in the CSU system. To solely consider graduation rates as the alternative to impaction disregards other factors that could lessen the rate of impaction for students that are enrolling in the CSU. If that financial cost is not being met then there continues to be the problem of impaction at the CSU levels. The governor’s office has indicated in their budget plan to increase state funding for the CSU’s allocation towards the 2017-2018 budgets by 161.2 million. That leaves the CSU with a budget gap of 171 million which is necessary to cover the cost of salaries, infrastructure, programs put into place to fulfill the graduation 2025 initiative. The biggest concern to California as a whole is supporting the growing diversity in college campuses. These students are in turn falling between the cracks of the educational pipeline and have severely limited prospects for the future as a result of impaction. As stated above, the majority of children K-12 ages in California are now Latino, and impaction squeezes out these Latino students. If demographics continue, California will become dependent on the success of these Latino students. Impaction not only fails these students, but it also harms California’s future. With the success of the California economy going to depend on college educated Latinos in the future this is damaging to the future of the state. The Public Policy Institute of California estimates that at current trends California will be 1.1 million college educated workers short by 2030. If impaction continues, this number will only increase. California is already on pace to be over a million college educated workers short if we wanted to continue our current economic growth. It is critical that California does all it can to reduce this gap. With CSU’s forced to follow the impaction course, more students are instead turning to community college. This will create a similar problem at California’s Community Colleges, driving up costs, and reducing the available space for students. As more and more students go through the K-12 years hearing they should go to college, more eventually begin to attend college. These students go to improve their future potential, but instead of being welcomed with support they are met with a system making it increasingly more difficult for them to graduate. Impaction results in higher costs, which results in lower income students not finishing their college education. This trend is alarming for the California Latino community, who lag behind other ethnic groups in college completion. It is only recently that Latinos in California began to catch up with their peers. Impaction must come to an end if we are to improve the future for California. When Latino students achieve their college dreams, California succeeds. We must adopt a policy that drives Latino students forward to succeed. Impaction goes back on the promise that was made to these students when they started high school; which was: work hard and you can go to your local CSU and graduate within five years. Now, impaction threatens to revoke that entirely. Impaction is sure to lengthen the amount of time it takes for students to graduate, which in turn results in higher rates of incompletion and higher student loan debt. California and the Latino community in particular cannot afford to pay this price. If educated Latinos are the future, impaction will dramatically reduce our capabilities for prosperity in the future.